GettyFacebook believes spammers were behind its biggest hack in history. Facebook has “tentatively” concluded that spammers, not foreign agents, are to blame for the biggest hack in its history. Anonymous sources told the Wall Street Journal that the company does not believe a nation-state was involved. An Amazon staffer says over 450 employees wrote to Jeff Bezos demanding Amazon stop selling facial-recognition software to police. An anonymous Amazon employee demanded in an op-ed article on Medium that the company stop selling its facial-recognition software, Rekognition, to police forces. Twitter released more than 10 million tweets linked to state-sponsored troll accounts. Twitter has released a huge swath of data linked to foreign influence and misinformation campaigns ahead of the US midterm elections in three weeks. Four powerful institutional Facebook investors co-filed a shareholder proposal to split Mark Zuckerberg’s dual role as CEO and chairman. 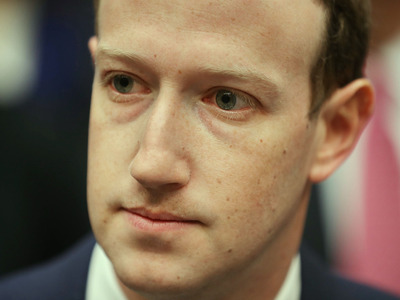 New York City Comptroller Scott Stringer, Illinois State Treasurer Michael Frerichs, Rhode Island State Treasurer Seth Magaziner, and Pennsylvania State Treasurer Joe Torsella are joining forces to pile the pressure on Zuckerberg. Saudi Arabia is walking away from a deal with Virgin Hyperloop, the Financial Times reports. The move comes after Virgin Group chairman Richard Branson said he would suspend working with the Kingdom in the wake of Jamal Khashoggi’s disappearance. Tesla’s vice president of manufacturing, has left the company, according to a source familiar with the matter.Gilbert Passin joins a long list of high-level employees from all parts of the automaker who have made their exit. The maker of “Fortnite” is suing two YouTubers for trolling with cheats and sharing hacks. The lawsuit, filed in a North Carolina district court, claims that cheat software damages the experience of “Fortnite” players, and harms the game’s community as a result. Apple stores are now selling a $US2,000 “self-flying” drone you can control from an Apple Watch. The startup behind the quadcopter was founded by former MIT students, and it’s backed by some of technology’s elite investors. Uber may spin off its self-driving car unit as it races to go public. Uber is considering selling off stakes in its Advanced Technologies self-driving unit as it races towards a 2019 IPO, the Financial Times reported on Wednesday. Tesla says Elon Musk plans to buy $US20 million worth of stock as soon as possible. The plans were announced the day after a judge approved Tesla and Musk’s settlement with the US’s top stock regulator.